Abdelmalek Sellal, the ex-Algerian Prime Minister, will head the campaign team of President Abdelaziz Bouteflika who has officially announced his plans to run for a fifth term in office Sunday. 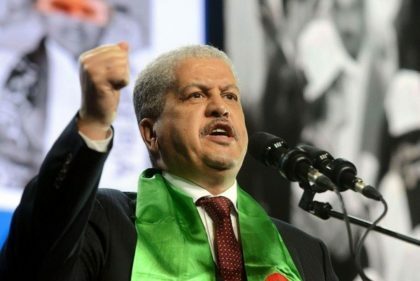 According to the state-run news agency APS, which also announced Bouteflika’s candidacy for a fifth five-year term in April’s elections, Sellal was appointed to the task Sunday. Sellah played the same role for previous elections namely, in 2004, 2009 and 2014. Ruling FLN this week-end officially nominated 81-year old Bouteflika as its candidate for the April 2019 election. The new candidacy will be the fifth for Bouteflika since 1999. The ailing President who has made rare public appearances since 2013 after he suffered a stroke, also received the support of other allied parties including incumbent Prime Minister Ahmed Ouyahia’s National Rally for Democracy. Sellal was Prime Minister two times, from September 2012 to 2014, and from April 2014 to May 2017.